For a recap, do visit Part One. 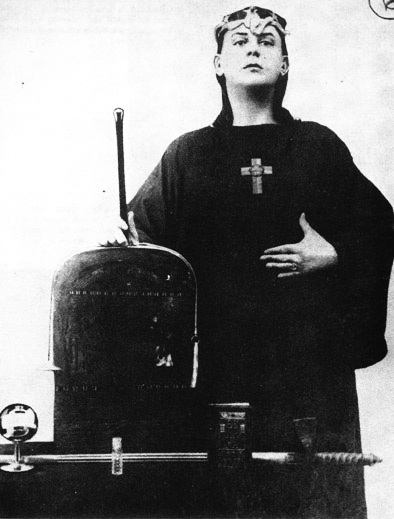 Aleister Crowley purchased Boleskine House in 1900 at the age of 25. Crowley spent a great deal of time looking for a property to purchase with the specific purpose of conducting a magical sequence known as the ‘Abramelin Operation’, taken from ‘ The Book of the Sacred Magic of Abramelin the Mage’, a famous grimoire (book of magical knowledge), dating back to at least the middle of the 15th century. The ritual a long elaborate affair consisting of several weeks of purification in which the magician communicates with his ‘Holy Guardian Angel’ or Higher Self. Boleskine was chosen by Crowley because it fitted a number of factors crucial to the operation. Indeed “bad vibes” is an accurate description considering that previous to the house being built, there once was a church on the very same spot that burned to the ground with the congregation inside. Boleskine House itself on the eastern shores of the spectacularly picturesque Loch Ness near to the village of Foyers is situated on a forested hillside. It was built in the late Eighteenth Century on land acquired from the Church by the Honourable Archibald Fraser, a relative of Lieutenant General Simon Fraser, Lord Lovat at the time. The Honourable Archibald Fraser reputedly chose this site for a house in order to irritate Lord Lovat, whose lands surrounded the property, in retribution for Lord Lovat’s support of the English during the Jacobite Rebellion of 1745. So the whole reason for the house existing is based on one man’s hate for another, not the kind of solid foundations that one would usually choose when building a house. Further associations with the Fraser family can also be seen in the Boleskine Burial Ground situated directly opposite Boleskine House. Recognised as a site of historic interest the burial ground holds several of the family graves and is notable for the remains of the original Chapel and Grave Watcher’s Hut. The Grave Watcher was employed to prevent body snatchers from defiling the graves. The graveyard itself had a reputation for strangeness before Crowley’s occupation. One legend suggests that a tunnel exists linking Boleskine to the graveyard, a fact that I have heard from many various people as well as reading in many places; but it is also a fact that no one seems to be a hundred percent sure of. The graveyard is said to be the haunt of witches as are many burial places within the Highlands and most of them have superstitions attached to them, perhaps denoting ancient corpse ways and spirit tracks, along which the soul was believed to travel, thus giving the rumours of a connecting tunnel more credence. It seems that Crowley caused quite a stir while he was there. If his writings are to be believed, his experiments in magic were not completely successful and resulted in some disturbing phenomena that was to send one of his housemaids mad, and lead to the house becoming haunted by strange entities. In his autobiography he describes how the spirits he summoned got out of hand, causing one housemaid to leave, and a workman to go mad. He also insinuates he was indirectly responsible for a local butcher accidentally severing an artery and bleeding to death. Crowley had written the names of some demons on a bill from the butcher’s shop. Whatever the truth Crowley revelled in controversy all his life and was not above fuelling dark rumours about his activities. “The demons and evil forces had congregated round me so thickly that they were shutting off the light. It was a comforting situation. There could be no more doubt of the efficiency of the operation,” Crowley wrote of his experiments at the estate. He bragged about how an employee of the Boleskine estate got drunk one night – after 20 years of abstinence – and attempted to kill his wife and children. The family of Crowley’s lodge keeper, Hugh Gillies, also suffered a series of tragedies. First his 10-year-old daughter died suddenly at her school desk and a year later his 15-month-old son died of convulsions on his mother’s knee. Such is the reputation of the white-stoned home of sorcery that during his three years in residence, at the beginning of the 20th century, the villagers of Foyers avoided the estate at all costs. As regards the ‘Abramelin Operation’ that Crowley was conducting it has been called by some people the most important magic operation that it is possible to conduct. In laymans term the operation involves summoning up evil spirits then summoning up good spirits and then basically asking them to have a fight in the hope that the good spirits would win and a new world order would be established. Now I am no expert and I am also not one of the elite intellectuals of my time but if it were me who was conducting such a spell logic would dictate that I summoned up the good spirits first and ensured they were comfortable. Perhaps I would offer them tea and biscuits and comfortable seats so that when I summoned up the evil spirits they would be feeling refreshed and ready for the impending battle. Crowley however summoned up the evil spirits first, he even had purchased fine sand and had it laid down so he could be sure that he had successfully achieved the summoning by witnessing footprints in the sand. I can only assume that the magic operation insists that the evil spirits are the first to be summoned a fact that I view as a major flaw in said operation. Unfortunately for Crowley and those around him the Abramelin rites seem to have succeeded mainly in summoning ‘demons’ or ‘the Abramelin devils’ as Crowley calls them. During Crowley’s occupancy there were reports of a heavy, oppressive atmosphere at Boleskine, dark eerie shadows filled the house, fierce winds blew through the rooms despite calm weather outside, and strange figures were seen in the area. After about a month or so of conducting the ‘Abramelin Operation’ Crowley was himself summoned to Paris by MacGregor Mathers his superior in the ‘Golden Dawn’ after Mathers had managed to get himself into a spot of trouble concerning others in the ‘Golden Dawn’. Foolishly Crowley decided that it was his duty to help out Mathers and decided that his cause was more important than the extremely important magic operation that he had been conducting. He subsequently ceased the magic operation and went to Paris. He however failed to do what must be done when ceasing any kind of operation that involves summoning any kind of spirits and that is to banish them back to from where they came. Many years later Crowley admitted that he regretted leaving the ritual unfinished. Read more of Mark’s stories at I’m Gonna Study the Rain and if you’re good, you might even get to hear him play the blues!